Kristen and Scott’s wedding was full of love. A small intimate wedding, in beautiful Palm Beach with their nearest and dearest. 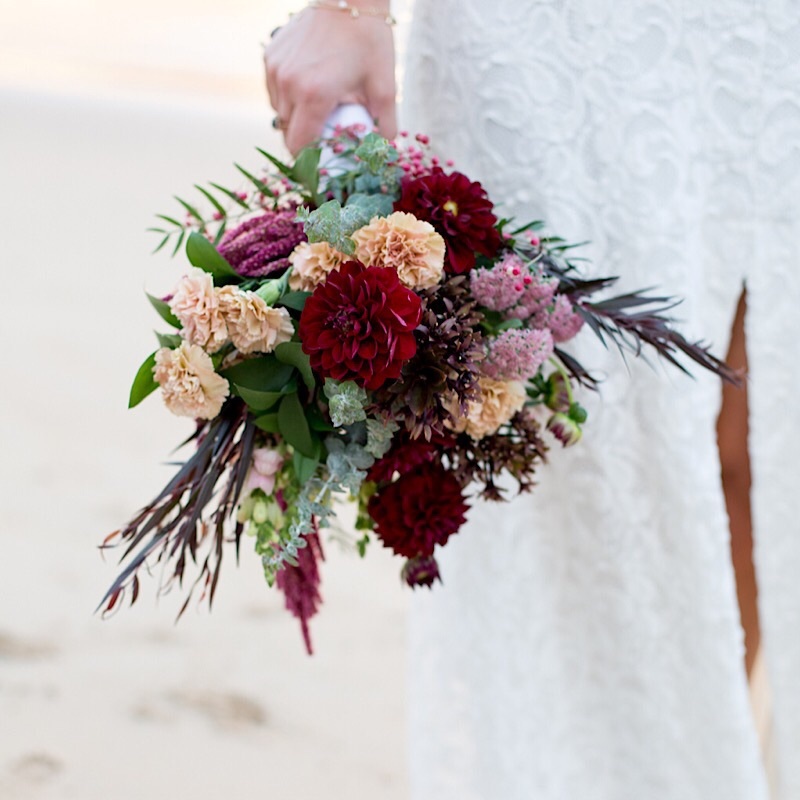 Kristen’s vision for her florals was focussed on style and texture with a rich colour palette. 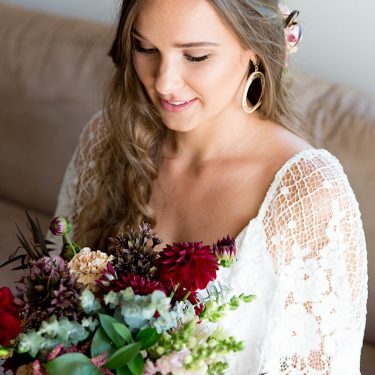 Ceremony styling by gorgeous Corey at Styled By Her was absolute perfection. 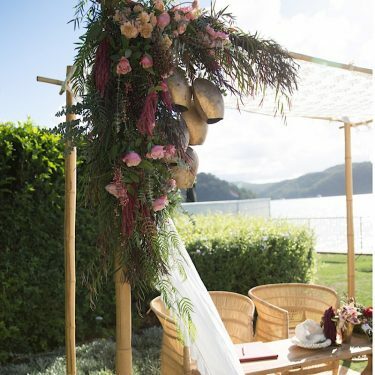 Our florals were well suited to Corey’s bamboo arbour and those amazing vintage bells! Kristin and Scott chose to marry mid week (when Palm Beach is so peaceful) and the day was perfect, a warm Autumn afternoon. Beautiful Claire Belford was their celebrant. Paper daisy, carnation, sedum, eucalyptus. 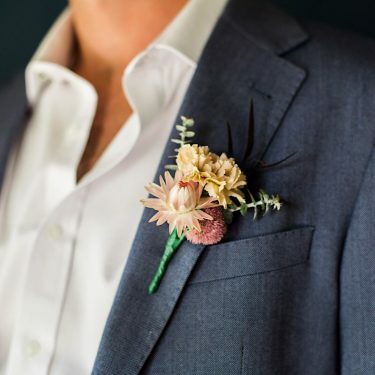 Scott’s buttonhole was a clustered textural selection of the neutral tones that featured in Kristin’s bouquet. 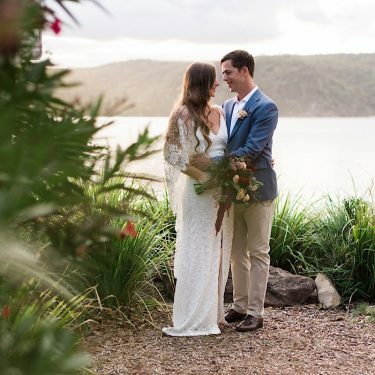 Their florals and foliage included dahlia, carnations, paper daisy, roses, snapdragon, sedum, pineapple lily, after dark, peppercorn and eucalyptus. After their ceremony they continued their celebration at a private Palm Beach home. All images courtesy of My Lens of Love. 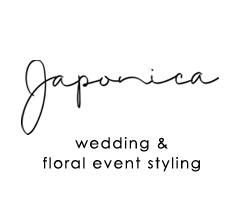 We love working at Lucinda Park, Palm Beach and would love to talk florals with you.